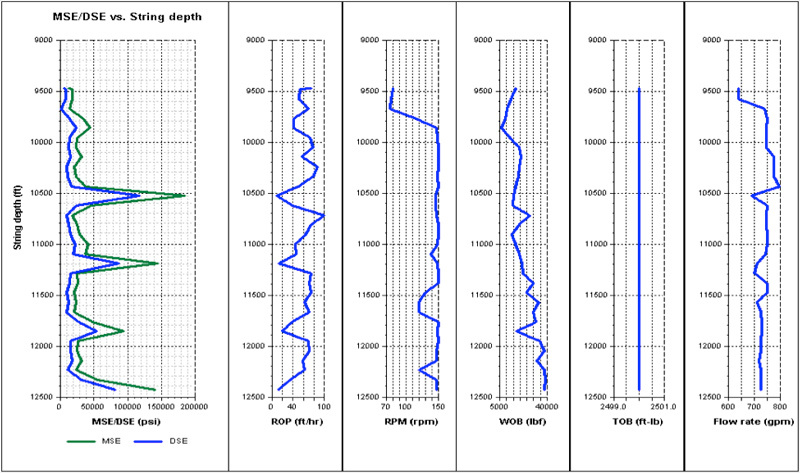 DrillSIGHT-HDTM is HXR’s advanced MSE/DSE Wellsite Drilling Optimization Service. Used in conjunction with our DrillSIGHTTM hole condition monitoring and rigsite engineering services, DrillSIGHT-HDTM has our ERD Specialists working with the drillers to monitor the real-time (RT) MSE/DSE calculations provided by the rigs instrumentation system to achieve higher ROP performance, while also capturing and recording those calculations on X-plots and drilling trend graphs for use as “Lessons Learned” on future wells. Our ERD Specialists monitor the MSE/DSE and alert the drillers when changes to drilling parameters need to be made, and help train them to recognize, and react, to changing conditions downhole. Drilling Performance Services — In High Definition. Using MSE/DSE to optimize on-bottom drilling performance was pioneered by Exxon- Mobil, and today comes with various names (Exxon’s FastDrill, Schlumberger’s Speede, various TDS manufacturers have MSE systems, etc.). HXR combines our DrillSIGHTTM well surveillance/hole condition monitoring services with MSE/DSE Performance Drilling – DrillSIGHT-HDTM. The basic premise is that the more efficiently you can crush rock (maximizing the Energy@Bit), the faster your ROP will be. Wasted energy, like vibration, simply turns to heat, and becomes a destructive force. There are several drilling parameters that can be adjusted to effect MSE/DSE, and the adjustment of those parameters allow for increased ROP.